Accent Rug. 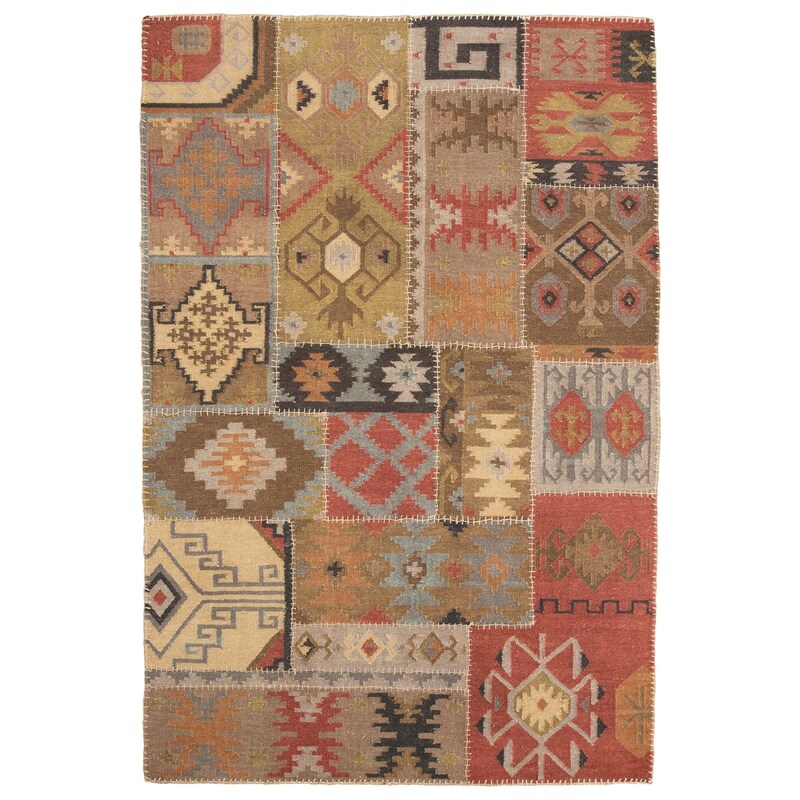 Handwoven Kilim Patchwork Design in Earth Tones. Wool. No Pile. Spot Clean Only/Professional Carpet Cleaning. Rug Pad Recommended. The Traditional Classics Area Rugs Posey Multi Medium Rug by Signature Design by Ashley at Household Furniture in the El Paso & Horizon City, TX area. Product availability may vary. Contact us for the most current availability on this product. The most beautifully crafted furniture and illuminating accessories go a long way in creating the living environment of your dreams but a perfectly placed rug completes the richness and style of any home. Whether for comfort or beauty, The Rug Gallery has a rug to suit your every need. These rugs offer luxury with a rich comfortable feel that is matched only by the unique beauty that each one holds within. Complete your home with the comfort and style of a traditional classics rug from the Rug Gallery. The Traditional Classics Area Rugs collection is a great option if you are looking for Rugs in the El Paso & Horizon City, TX area. Browse other items in the Traditional Classics Area Rugs collection from Household Furniture in the El Paso & Horizon City, TX area.